A company specializing in temperature-controlled warehousing and logistics for the food industry recognized an issue concerning a failed mechanical seal on a Goulds 3196 ammonia pump. Being that ammonia pumps are critical to maintaining temperatures at a cold storage facility, identifying the problem and appropriate solution was dire. In conjunction with the facility's Maintenance department, the engineering and service teams at Crane Engineering worked tirelessly to troubleshoot and identify the right solution. This cold storage facility has two primary pumps used to maintain temperature throughout the facility. One of these pumps experienced catastrophic seal failure less than one year after it was replaced by the customer. To make things worse, the other critical pump wasn’t doing much better as it slowly leaked as well. The customer was in a tough situation as it was now June and the weather was really starting to heat up – making it even more difficult to maintain the cold temperatures. Time was running out. Instead of simply installing a new seal, the team at Crane Engineering made the decision to troubleshoot and determine why the customer-installed seal failed in under one year. Oftentimes there is an underlying cause for seal failures, especially when they happen within a short period of time. It was determined that seal selection was not the issue, this style of seal is commonly used across the cold storage industry and is widely accepted due to its reliability. 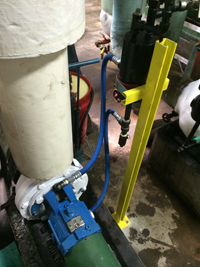 The pump was disassembled by Crane Engineering's service team in Kimberly, Wisconsin. The condition of critical parts was assessed to determine if replacing the seal would fix the problem. With a number of components showing significant wear, it was determined that replacing the seal would only be a temporary solution, as the worn components directly impact the overall reliability of the seal. A Crane Engineering Account Manager also noticed the seal’s piping plan wasn’t ideal as it sloped in the wrong direction with tight 90 degree elbows instead of gentle slopes. A proper pipe installation method was discussed and necessary changes were made to ensure adequate lubrication. The last piece to any rotating equipment repair is to ensure proper alignment. If the alignment is off, it negatively impacts the life of the equipment. 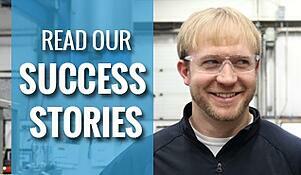 The facility had their own laser alignment equipment, but opted to allow the service technician to align it himself. The service technician performed the laser alignment and noticed significant misalignment, which would have decreased the life of the pump. The facility's maintenance team was trained on pump rebuild procedure and best practices to ensure maximum equipment reliability and lower operating costs, and also taught the operators how to become more efficient with future repairs. The pump repair and installation took a total of two days. A number of causes for the shortened seal life were found, and necessary components on the pump were either repaired or replaced. Since then, the pump has operated flawlessly, and the facility came out with a greater depth of knowledge on the subject. 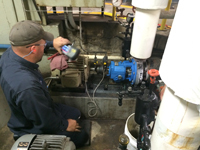 Root cause analysis of the failed mechanical seal helped to ensure maintenance personnel could extend the life of their pumps minimizing costs associated with repeated mechanical seal failure.